Home...there's no place like it! A Village Magazine produced by volunteers for the village of Hardwicke Delivered free to 2,500 homes monthley since 1989.
during the period from 15th April 2019 to 13th September 2019. 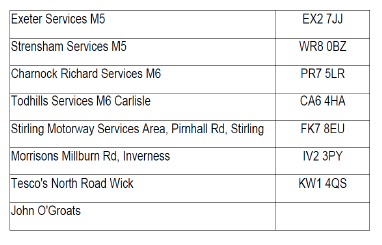 The overnight closures will be between 19.00hrs and 06.00hrs for upto 20 nights during this period. Advance warning of dates will be displayed by signs on site. This is to allow for improvement works to the roundabout by Gloucestershire County Council. Major Projects Team at Gloucestershire County Council on 08000 514514.
to register births, deaths and notices of marriage. Appointments can be booked, as with any of our other offices, by telephone or online. 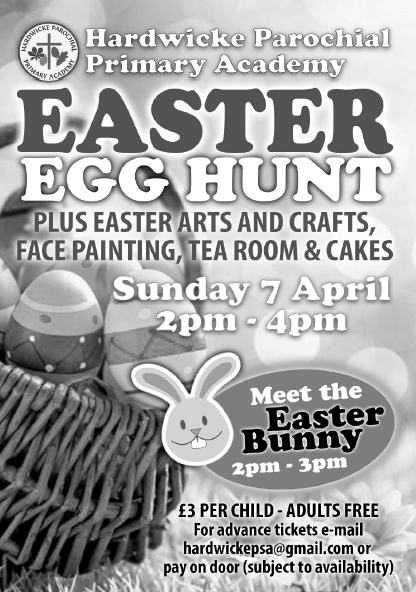 The postal address is Quedgeley Register Office, Quedgeley Library, Bristol Road, Quedgeley, Gloucester GL2 4PE. County Council have now passed their budget with a 4.99% increase where 2% is ring fenced for Adult Social Services, demand for which has risen 28% this year. Personally I was surprised by the Political Nature of MP, David Drew’s contribution to this publication last month. I always aim to make this section informative rather than overtly political. However our budget meeting was disrupted by a group known as the “Extinction Rebellion” who want us to do more on Climate Change. Gloucestershire County Council has an good record on making it’s operations and buildings environmentally friendly, cutting carbon emissions by 52% since 2018. I personally think this is a major issue however sadly delaying the meeting by an hour an a half by gluing themselves to the Council Chamber won them no friends. I would also suggest they stand in District and County elections as do others who have a desire to make the world a better place, that is what I (and David Drew) did. County Councillor - Hardwicke and Severn. Please come along to support our road safety riding campaign. This is a ride to raise awareness of how road users should safely pass horses, riders and other vulnerable road users. This is a ride to raise awareness of how road users should safely pass horses, riders and other vulnerable road users. This ride will be happening up and down the country with over 60 other counties taking part. Horse riders, carriage drivers, walkers and cyclists are invited to join the ride. Your local ride will start at Styles Farm, Harescombe, GL4 0XF. First horse to leave at 11am and all participants should have left the start point by 12pm. A set route on roads and lanes will be planned out, passing through the Parishes of Brookthorpe, Harescombe and Haresfield. A longer and shorter route available max 8 miles. 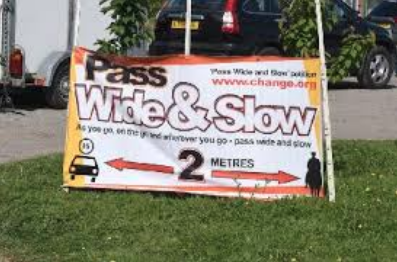 Remember our aim is to encourage drivers to PASS WIDE and SLOW when passing vulnerable road users. Smile, be polite and have fun and not to upset anyone. Please register your interest prior to the event as parking may be limited if the fields are wet. You must sign a disclaimer before heading out and have your own liability insur-ance. The ride organisers / landowners will not be held responsible for any injury, damage or loss incurred as a result of the ride. There will be a big group photo before we head off and be joined on the day by the Mounted Police Section, Stroud News and Journal, representative from Mid Cotswold Tracks and Trails, and others. The event is being supported by Brookthorpe Parish Council, Harescombe Parish Council and Haresfield Parish Council. The Parish Assembly is an opportunity for all residents to meet with Parish Councillors and hear about the work of the Parish Council over the past year. A number of other groups and organisations will be giving brief presentations on their work for the residents of Hardwicke. 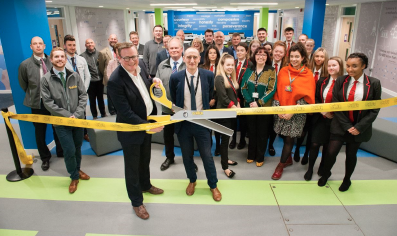 The expansion opening ceremony took place on Friday 1st March in front of representatives from Gloucestershire County Council, Severn Vale school, the contractor EG Carter, teachers and students. The £5 million project, is part of the county council’s overall pledge to invest £100 million into schools. The expansion work included refurbishment and reconfiguration of the Science block, hall refurbishment and expansion of the existing three storey block, new changing rooms and sports hall storeroom. The new classrooms now facilitate lessons across the curriculum including Science, Maths, Art, Geography and History. I just wanted to make sure that the Parish community is aware of the impact the current draft Parish Boundary changes will have on the Parish. 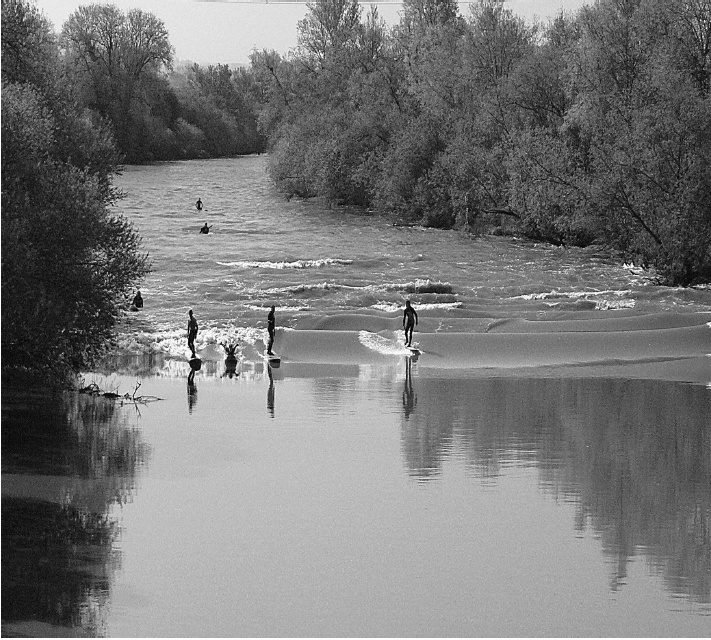 The Localism Act 2011 was introduced to devolve decision-making powers from central government control to individuals and communities. 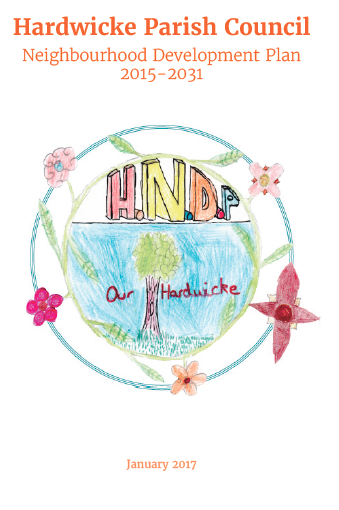 The Hardwicke community used its newfound powers to compile a Hardwicke Neighbourhood Development Plan (HNDP) that came into legal force on 19th October 2017. In all aspects of its compilation the Hunts Grove (HG) development was considered part of the Hardwicke Parish through to the plan expiration date in 2031. In September to November 2018 Stroud District Council (SDC) conducted a governance consultation to review existing Parish arrangements. These reviews are performed every 10-15 years. The Hardwicke Parish Council response included recommendations that the south boundary of Hardwicke Parish be extended to include the area of Hunts Grove (HG) that is currently in the Haresfield Parish and that Hardwicke Parish Council recon-stitute into a Hardwicke Ward and a Hunts Grove Ward. I understand this was aimed at providing a level of independence as HG continues to grow whilst maintaining the Hardwicke Parish and the integrity of the HNDP. There are more than 50 individual responses from HG and the HG Residents Association recommending a separate Parish. Our three District Councillors agreed with them. It appears, rightly or wrongly, that individual views carry more weight than representative views. Neither SDC nor our District Councillors appear to view Hardwicke Parish Council as representing the Hardwicke Community. Now if this is the way it works then those of us who agree with the Hardwicke Parish Council recommendation need to inform the SDC Governance Review directly as little weight appears to have been given to the view of our Parish Council. You might want to copy it to our District councillors as well. The consultation is open until Monday 6th May 2019. Details are on the SDC website if you are interested; fill in the online survey here, draft propossals below; email SDC with your points or write to SDC. Now back to that first paragraph…the HNDP is part of the SDC Development Plan. The HNDP integrates fully the Hunts Grove development as part of the Hardwicke Parish. In my humble opinion the recommendation made by SDC is not only going against the statutory representatives of the Hardwicke Community wishes but also its own Development Plan. Localism eh!!! If you would like to comment on any artical within the website or the magazine please do so here. You can use the 'Website:' field to tell us what artical you are commenting on. So as to give you plenty of time to raise a team of 4 (or find an excuse not to come)!! (or if you want some of their great food). ALSO...................................Saturday 22nd June is our Annual Show in Severn Vale School with the Gloucester Excelsior Band, Angies Choir, the Spakuleles, Susan Tom-lins Dancers and Sam Dobbie, brilliant. Want reserved seats, make contact. Sunday 30th June is the Annual Outdoor Show (this year called the BIG BIG SHOW) it's at Fishers Meadow, Quedgeley open to the public from 1000-1600, stands, information stalls, arena displays being supported by the Emergency Services, Kathryn's Carriages, the Alacrity Naval Band from Portsmouth, a Fun Fair, a Classic Car attendance, Cadets and much more. This year the theme is about the 999 Services as 30th June is the birthday of the first 999 calls being accepted. No need to book for this, just come, parking at Severn Vale School. The Hardwicke Matters Annual FREE Quiz night is on Saturday 6th April this year. 14 Cornfield Drive, Hardwicke, Gloucester, GL2 4QJ. County Councillor Stephen Davies reported that the County Council had set its budget for 2019/2020 and along with the district council budget, the average council tax for a band D Property would be an increase of 5.3%. A follow up report by Ofsted into the County Council’s services for young people had noted that there had been some progress but further improvements were needed. An assessment of Adult Services had shown the County Council to be in the top ten of local authorities. The Clerk presented a draft agenda for the Annual Meeting of The Parish to be held on Wednesday April 17th at the Village Hall. The Chair, Cllr John Perkin, presented the report and draft recommendations from Stroud District Council which proposed that Hunts Grove be separated from Hardwicke Parish and be established as a new Parish Council. The proposals were subject to a period of consultation ending on May 6th 2019. It was agreed that the Parish Council prepare a response for approval at its meeting April and to include the review as part of the agenda for the Parish Assembly. Resolved; to note the report and prepare a formal response for the April Meeting of the Parish Council. The Chair gave a verbal report on the meeting with Henry Lloyd Baker to discuss options for an event to mark the Parish Council’s 125th anniversary. It was agreed to form a subcommittee to develop ideas and plans for events during the year. Cllr Denise Powell reported that there had been complaints of loud music being played during parts of the day; it suggested that this may be from the School. Cllr Anthony Doyle asked who was responsible for the skate park near to Fieldcourt Drive. Suggestions had been made on improvement to the area. It was noted that the area was within Quedgeley but possibly managed by Gloucester City Council. Cllr Demelza Turner Wilkes reported that Biffa Waste were making collection of waste from the business premises in Jessop Court as early at 5.00am. The Clerk agreed to raise the matter with the district council. Cllr Darren Morris reported that the landscaping ideas for the approach to Hunts Grove were being progressed. Cllr John Perkin noted that repairs were needed to the safety rail near to the pond and that the ‘Bund’ in Sticky Lane would benefit from re seeding. Hardwicke Court is open every Monday from Easter until the end of October. 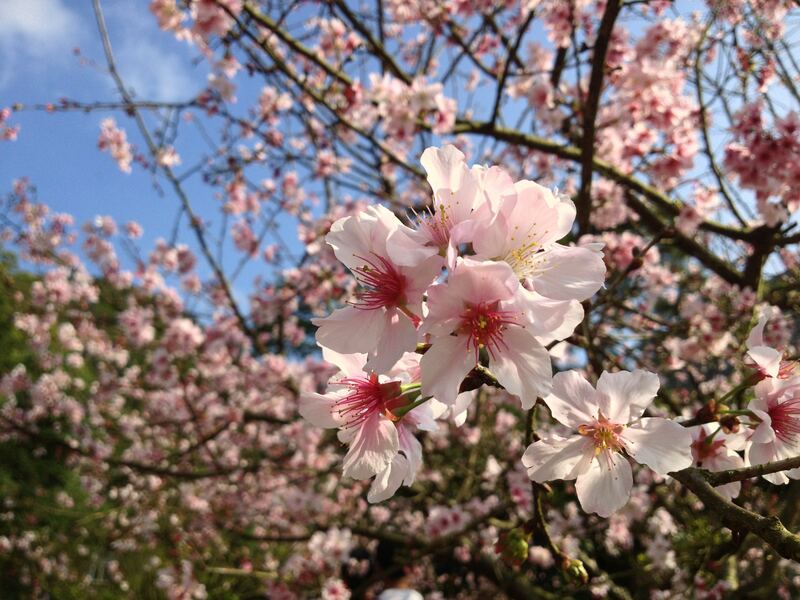 The house is open from 2-4pm and the gardens until 5pm. Entrance is free to Historic Houses association (HHA) members. 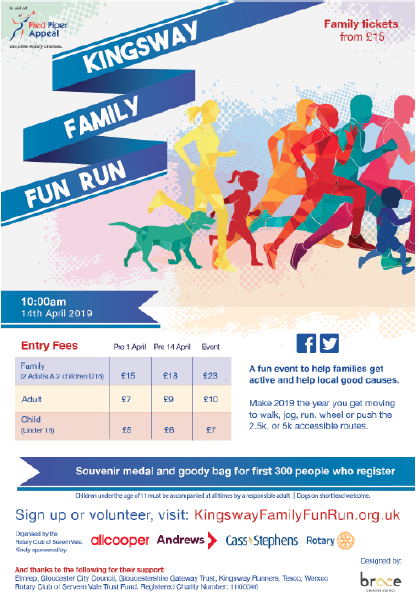 Entrance for non-members is £1 which goes to the Gloucestershire Society, a charity founded in 1657 to support families in desparate need in Gloucestershire. In 1999 I cycled from John O'Goats to Lands' End which took me 13 days and raised £4764.58 for CLIC Sargent who care for chilfren with Cancer and Leukaemia. I have decided that on my 50th birthday and on teh 20th anniversary of my first end-to-end challenge 'I'm going to do it again'. 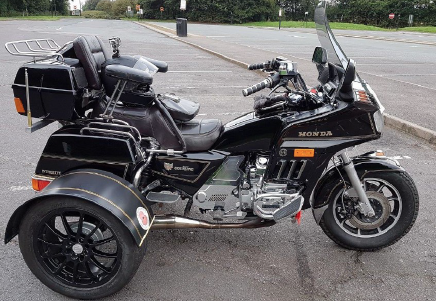 As I am know a Royal British Legion Rider and I'm definately older, not sure about the wiser though, I'm going to do this on my 1986 Honda Gold Wing trike. I will be leaving Lands End on Wednesday 17th July 2019 at 0500hrs and aim to be John O'Groats by 2200hrs. The following day on 18th July 2019 I will be returning to Lands' End aiming to be there by 2200hrs. I would like to raise £1 per mile i.e. £1680 for the Royal Btitish Legion Charity No 219279. I'm just crazy enough to think that this can be achieved! I will have to make a number of stops in each direction as my trike only does about 120 miles per tank of fuel - and would like to invite family, friends and Riders to join me for various sections of the journey. Or if you would like to sponsor me https://mydonate.bt.com/ fundraisers/lezfootetrikechallenge. Thanks you for taking the time to read this. Please support me and hope to see you in July. The new service will support pregnant women to make positive lifestyle choices before the birth of their baby and up to two years after (1001 day support). The service is a joined-up initiative funded by Gloucestershire County Council and delivered by the Healthy Lifestyles Service Team. Two brand new roles have been appointed, a healthy lifestyles specialist midwife and a dedicated specialist health coach. The specialist midwife is a ground-breaking post which is part funded by Gloucestershire’s Better Births Programme. The team will support pregnant women to stop smoking, eat healthily, manage their weight and be more active during pregnancy. The support will continue after the birth providing the new mum and her family with health and wellbeing support during this critical period. The team will work in partnership with wider services and organisations across the health system including maternity teams, health visitors and GPs to ensure that the support offered and approach to health and wellbeing is joined up. Since Healthy Lifestyles Gloucestershire launched in January 2017, the service has helped over 220 pregnant women to stop smoking. Sue Maxwell, Matron for inpatient/outpatient Public Health said: “Working together to provide maternity care so that every woman has a safe and supported environment for herself and her baby is so important, and this joined-up service aims to do this”. 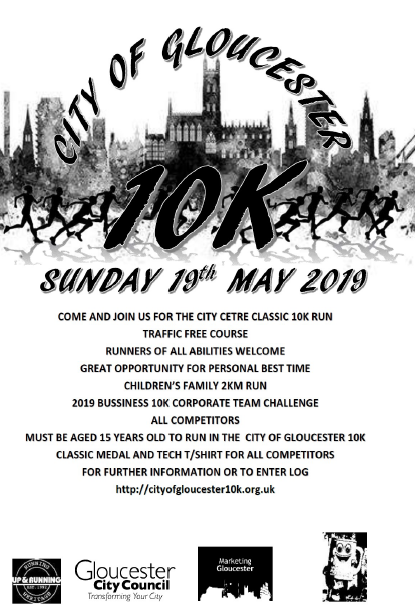 For more information or to contact Healthy Lifestyles Gloucestershire, call free on 0800 122 3788 or visit the website at www.hlsglos.org. Approval of Reserved Matters for strategic public open space at phase 3 of Hunts Grove pursuant to outline approval S.15/1498/VAR. Air conditioning units and surround. Company signage. Permitted. Discharge of Condition 21 (public access fully accessible to disabled persons) from outline permission S.15/1498/VAR. Partially discharged. Hardwicke Court was built in 1816 by Thomas John Lloyd-Baker. 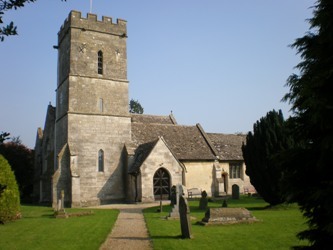 Thomas had moved to Hardwicke from Uley along with his second wife Anabella Rolfe and three children from his first marriage. He had purchased the imposing Elizabethan mansion - then called Hardwicke Park Court - from William Parker, who in turn had bought it from the third Earl of Hardwicke. The family soon found the house to be riddled with dry rot. They moved out after just three years and the building was completely demolished, with Thomas intending to replace it with a temporary home to live in while he waited to inherit Stouts Hill in Uley. The current house was begun in 1818 and finished a year later. 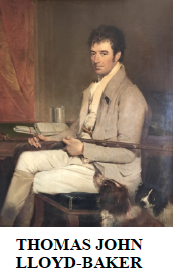 Robert Smirke, architect of Gloucester Shire Hall and latterly the British Museum and Royal Mint, was commissioned to build a suitable house with the instruction that the family would only be resident for around a decade. 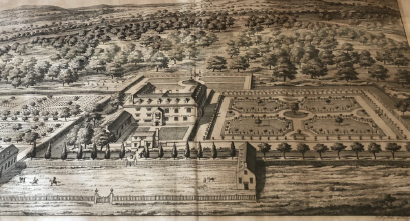 Hence Smirke designed what was then considered a small and simple manor house and gardens which could be managed with ‘merely’ about twenty staff! Some echoes of the old house and its grounds - and an even older manor - remain in the gardens. Part of the ancient moat survives as a fish pond. The family found they preferred Hardwicke to their previous circumstances and simply never left. Thomas John’s son, Thomas Barwick, inherited in 1841 and planned to greatly extend the Court and build a grand facade with new wings but the design, put together by Thomas Fulljames in 1842, was - perhaps thankfully, given its rather ostentatious style - never built. A magistrate and penal reformer, Thomas Barwick built a school for young offenders in Hardwicke and campaigned for a more progressive approach to the treatment of young criminals. His and his family’s day-to-day life was chronicled in a book by Professor Joachim von Holtzendorff, An English Country Squire, as sketched at Hardwicke Castle. The ‘lost in translation’ idiosyncrasy of the title is often repeated in the text, with the German academic frequently bemused by English upper-class mores such as fox hunting. Next time: Hardwicke Court through Victorian times and the First Word War. If you would like more information or would like to become a volunteer, please contact the editor we would love to meet you. If you would like a copy of Hardwicke Matters monthly minutes please email the webmaster@hardwickematters.co.uk stating which months minutes you require.